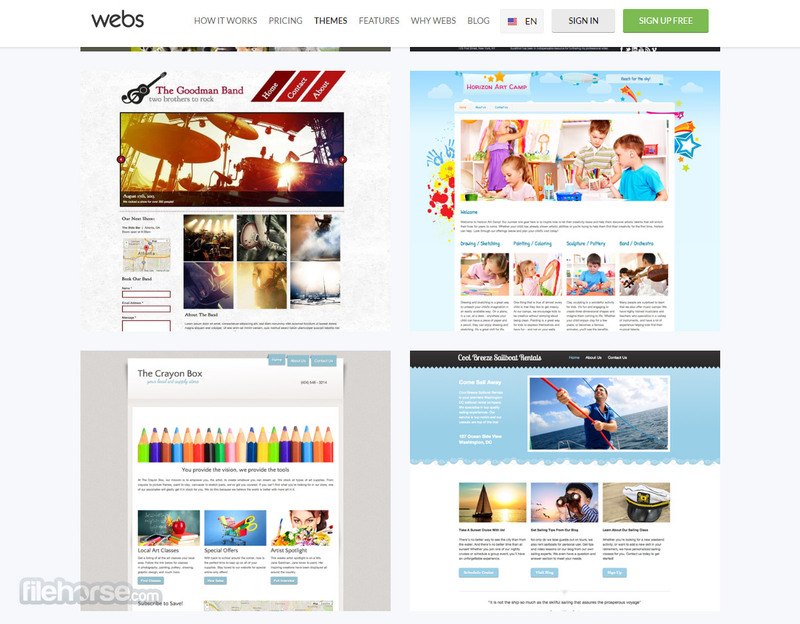 Webs is one of the best online tools for creation professional looking website, no matter how ambitious your site needs to be. 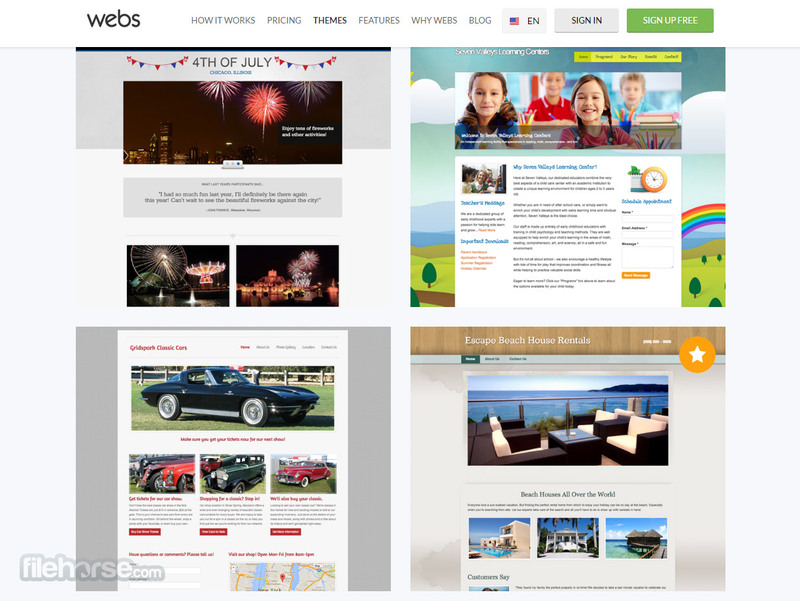 From blogs, personal sites, small businesses, large group of businesses, Webs offer everything you need to create online destination that you or your company can be proud with. Make free website today! Everything that you will need to create professional website is offered to you for free – powerful building tools that offer not only drag-and-drop options but also in depth editing tools for professionals, wide arrangement of website templates, impressive allocation of business applications, access to 24/7 support team, web analytics, great SEO optimizing tools, and even automated ways to create your business Facebook page. With Webs, your personal blog or e-commerce website can be up and running in mere minutes. Give it a try! 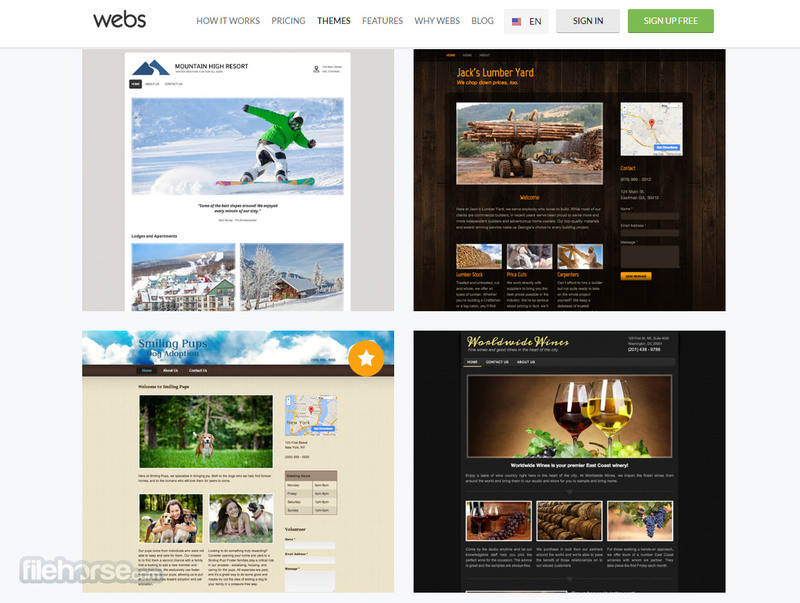 Create a website with our professionally designed templates and easy to use free website builder. Better Websites Made Simple! "Our professional designers spend their days creating beautiful, robust templates that are ready to be customized to your specifications. Your website should be a reflection of you, and that's why our free website builder features let you change fonts, colors, background images, and more with ease. Ready to create your own website? Browse our templates now." A powerful SEO tool designed help you easily optimize your content so search engines like Google, Yahoo!, and Bing can deliver more of the right people directly to your website. No technical skills required. Make free website today! Get to know your visitors better with our powerful web analytics tool, Stats. Find out where your traffic comes from, how visitors behave on your site, what sites and campaigns refer the most traffic, and more. Make free website NOW!